The Faroe Islands' ritual pilot whale hunt is not only highly controversial, eating the whale meat also poses a health hazard, public health authorities in Denmark's autonomous North Atlantic territory warn, advising against eating it. 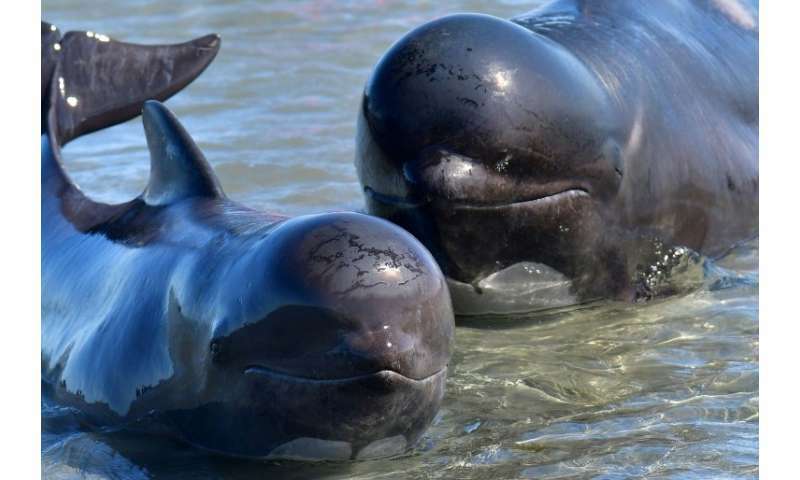 In a centuries-old tradition known as the "grindadrap", pilot whales swimming close to shore during their summer migration are surrounded by Faroese in small boats, who herd them into shallow waters and beaches where they kill them with knives, turning the water red. The meat is then distributed to locals. The practice is "ecological" and "respectful", says Fisheries Minister Hogni Hoydal, who also argues it is a key part of the Faroese tradition of living in a sustainable way off their marine resources. But the head of the Faroe Islands public health administration, Pal Weihe, advises against eating it. "We find it so problematic for the health of the Faroese to eat it that we have asked them to make this cultural sacrifice," he told AFP, stressing: "It is a sacrifice not to consume this very traditional food anymore." "If Denmark or Britain should stop eating bacon for breakfast, that would be a part of the culture which disappeared. Whale meat has really been part of our way of living, our identity, our culture," he said. High levels of mercury and persistent organic pollutants (POPs), released by industries into the environment, end up in the whale meat which can in turn affect humans' intellectual and neurological development and weaken their immune systems. After following hundreds of children in a study that began in 1986, Weihe first recommended in 1998 that people limit pilot whale meat consumption to one or two meals a month—and advised pregnant women and those planning to have children to refrain completely. As scientific documentation of toxicity levels steadily improved, that recommendation was extended to the entire Faroese population in 2008—with mixed results. "When I say, 'You shouldn't eat it anymore', that's almost the same as to say 'Do not kill the whales anymore'," Weihe said. "I'm not interfering in that, I'm just saying 'Don't eat them'. But as the only reason for killing them is the consumption, that means that some people are not listening to what I say." Oil in the Faroe Islands: mirage or miracle ?